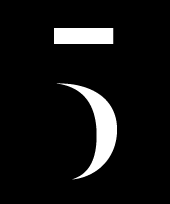 Congratulations to our clients and collaborators! 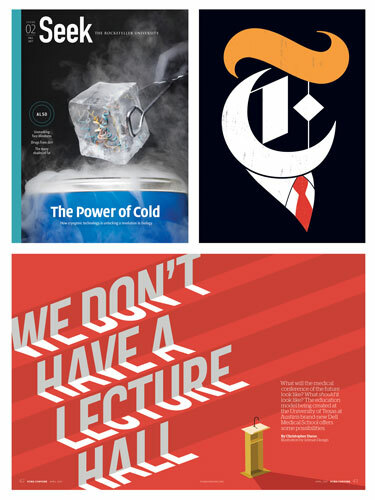 We are all Society of Publication Designers Print Merit Winners from the 53rd Annual Design Competition. 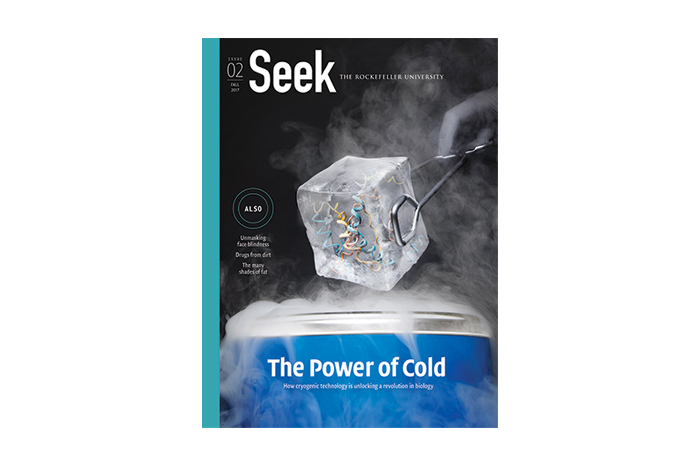 Our work for The Rockefeller University’s Seek Magazine was awarded for overall issue design, cover art by The Voorhes; Melinda Beck’s work for Columbia Journalism Review for illustration; and Selman Design’s illustration and lettering work for PCMA Convene for design. The Rockefeller University’s Fall 2017 issue of Seek Magazine was recognized for best overall issue design in the Custom Publishing in the Trade/Brand/Institutional/Educational category. 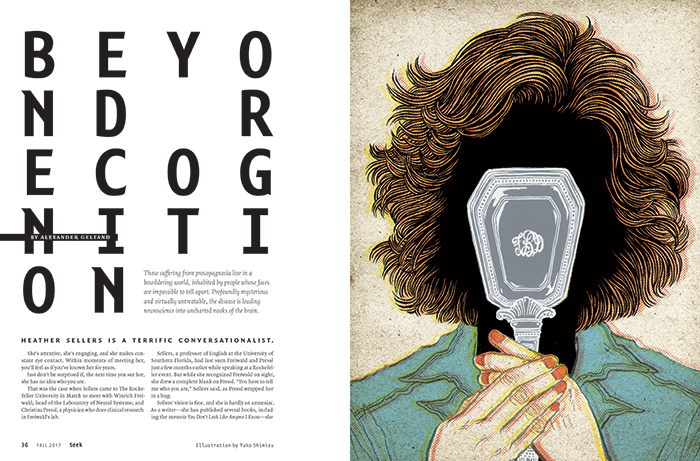 Cover photograph about cryogenic technology by The Voorhes and feature layout on face blindness with illustration by Yuko Shimizu. 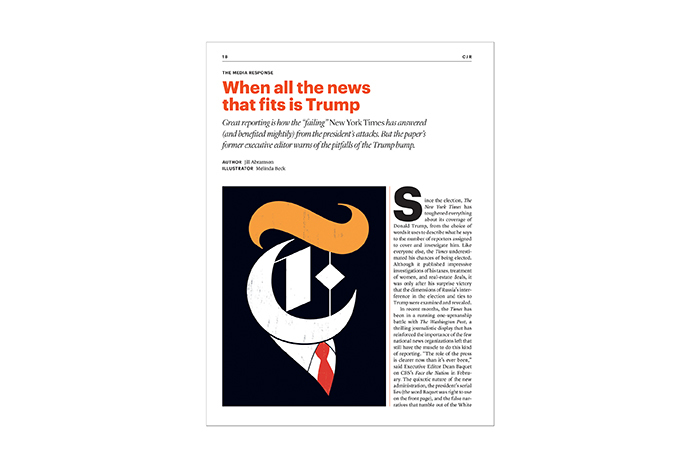 Illustrator Melinda Beck’s work for The Trump Issue (Fall 2017) of Columbia Journalism Review was a Merit Winner in the Single Illustration category. 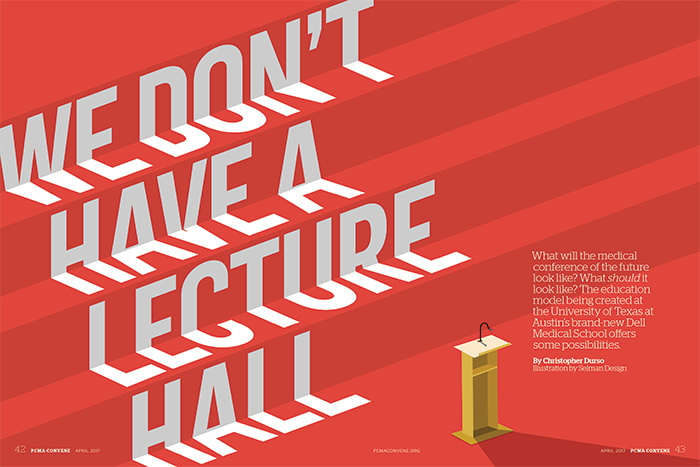 Selman Design’s illustration and lettering for PCMA Convene’s April 2017 issue’s opening spread was awarded for Design in the Custom Publishing category.